Jandy Pro Series AquaLink RS systems enable total control of your backyard experience. Jandy Pro Series AquaLink RS systems enable total control of your backyard experience. 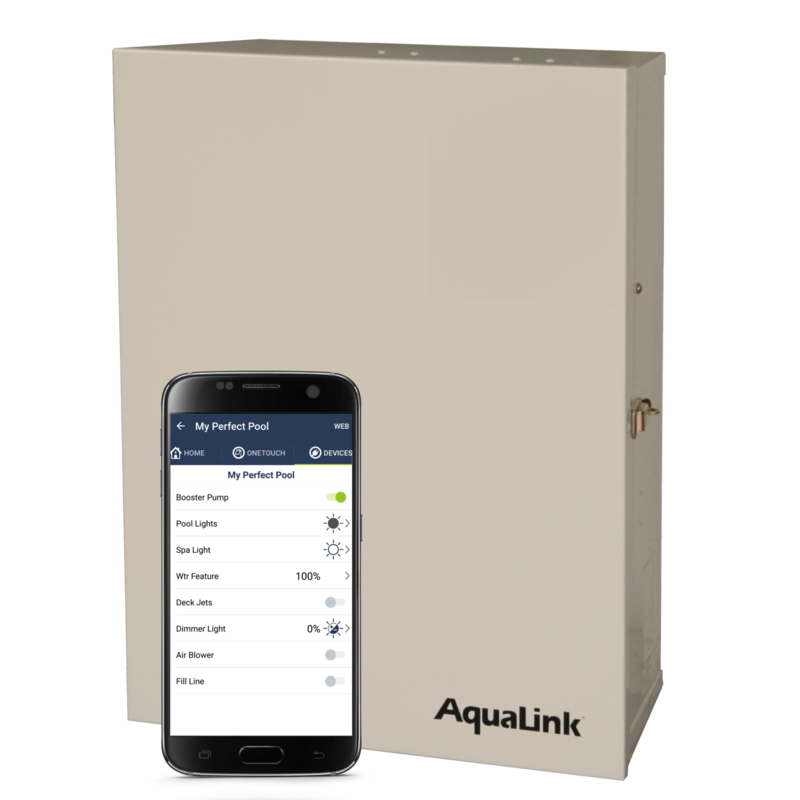 AquaLink RS systems are fully integratable with home automation systems, and feature our seasonal adjust technology, which can modify schedules throughout the year, for substantial additional energy savings. AquaLink RS delivers the ultimate pool/spa automation experience. RS2-30 RS 2/30 DUAL, SYSTEM LEVEL, AQUALINK RS.